As the web has rapidly evolved, it almost seems that apologetic CSS has been left behind. Each week something happens, but seldom where it matters – the interface. The internet follows an almost everlasting converge-then-diverge-then-converge model in applications, and now it’s the turn of CSS. As more frameworks, ideas and standards have emerged, complexity has skyrocketed with more and more helper technologies being invented from necessity. Things have become far more complicated for developers as people expect more, but now they are slowly being merged into CSS as formal standards. 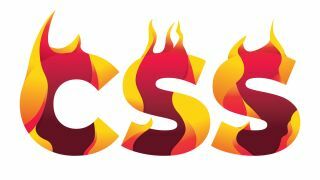 CSS has become unrecognisable from its early inception in the 1990s. And what to the future? We can probably say now that CSS of the future will see another divergence as different digital and physical devices and channels appear, even to a brand-new technology. We can probably also guess that CSS will provide straightforward access to even richer interfaces and that the ‘S’ curve in development complexity and development features will narrow and steepen. But what for now? These are our picks for the latest, greatest and most useful updates to CSS. Read on to learn how to use feature queries to check if a feature is supported before you start relying on it; build custom, print-style layouts with CSS Grid; DRY out your code with CSS variables; take control of backgrounds with two background-repeat options (Round and Space); explore aspect-ratio based media queries; create unique visuals with blend-mode; and make images adjust to fill content boxes with Object-fit; and more. Use the quick links box opposite to jump to the section you want. When the page is loaded, a check will be performed to see if the browser in use supports the flex feature. If it does, the styling within the support braces will be applied by the browser. If it is not, it will be ignored – it is worth having a fallback option for when the feature being queried is not supported. With the above example a check will be carried out to see if the custom property condition is supported and when it is the body will have a font colour of orange applied. @supports is available to use in all browsers with the exception of IE 11 and below, although some polyfills are available if you do need to support as far back as Internet Explorer 9. A final note: This is a great way to build in new styling rules, but it is also just as helpful at ensuring you build websites that degrade gracefully. If you use @supports then also use it to check if the browser does not support your CSS rules. This might double your workload, but it also ensures you create something that downscales browsers more elegantly. The arrival of Flexbox has allowed us to spend less time polluting our code with clear fixes, hacks and workarounds, and focus more on writing concise CSS and HTML. While Flexbox is essential for any UI dev’s toolbox, it’s best suited for working in one single direction at a time. This is usually enough, as we are usually only restricted on one axis at a time (for example, the width of the page is restricted, but not the height). This is all just barely scratching the surface of the possibilities of CSS Grid – there’s so much more that can be done. Currently this is supported in all modern browsers, with IE11 being the exception, whereas it supports the older syntax.